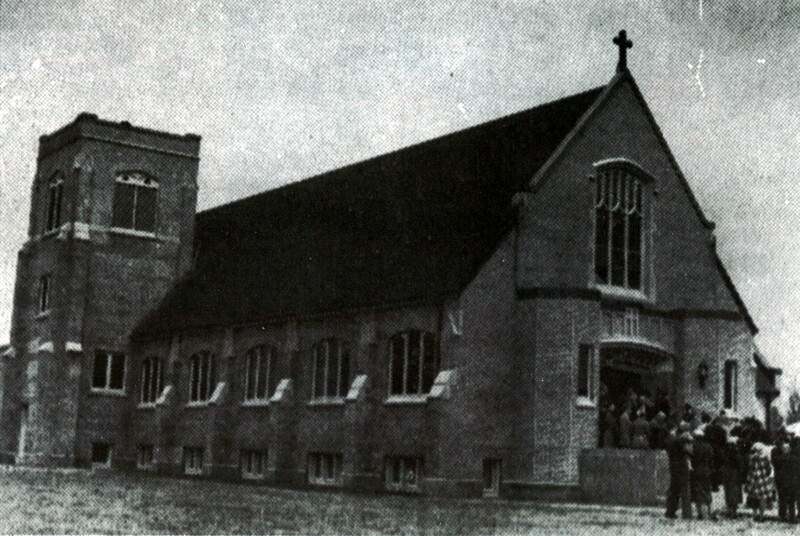 Our church started in 1948 to serve the East Ward neighbourhood of Kitchener, Ontario. Over the years, the Lord expanded our ministry both in numbers and also in terms of the area we serve. We're not just an East Ward church anymore! People drive in from as far as Elmira, Guelph and Cambridge to join in worship with those who live in Kitchener-Waterloo. Holy Cross holds membership in the Lutheran Church-Canada (LCC) and belongs to LCC's "East District". LCC is a national church body which affirms the Scriptures in all their parts as the written Word of God and proclaims the Gospel of Jesus Christ as the Lord's unchanging solution to the most basic problems of all human existence. In a time when it's common for religious organizations to seem confused about what Christians believe and how they ought to live, we want to cling to the historic Christian faith as set forth in the Bible and presented in the confessional writings of the Evangelical Lutheran Church. Our LCC originally grew out of The Lutheran Church-Missouri Synod in the United States. We're also in partnership with other church bodies making up the "International Lutheran Council" around the world. We're anxious to share Christ … His Good News … and the life of His people with new friends. Enjoy these Internet pages! Come attend our Divine Services! Get in touch with our pastors! We'd be happy to meet you! Ten elected Boards assist in administrating congregational affairs: Boards of Church Properties, Elders; Evangelism; Fellowship; Missions; Parish Education; Public Relations; Stewardship; Worship; and Young Peoples. The directors of these boards form the Parish Planning Council with six Executive members. Monetary support is received through weekly, numbered envelopes, and is now available by monthly direct deposit as well. Bulletins, etc. may be picked up each week from the ushers. Mail slots are provided in alphabetical order, in the church entrance for regular attendees. Names are located below each slot, so material is removed from above your designated slot. An Annual Directory is distributed with names and addresses, etc. of all members, as well as Pastors staff, and personnel of various organizations and boards.